Condition: Glue and paint in the model set is not included. The model is unpainted, not assembled. I do occasionally make typographical errors. Length of assembled model I sent more than 3,000 parcels worldwide. 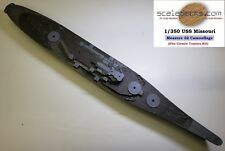 A1/350 Wood Deck for the Titanic by Academy or Minicraft - OLD or NEW Molds! 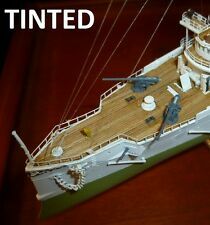 This is a Wood Deck for the 1/350 Titanic kit as manufactured by Entex or Minicraft (The molds for this kit have changed over the years, but this set includes pieces to fit the OLD or NEW molds - so no matter what you have, this set WORKS!). This is a Wood Deck for a 1/350 Russian Varyag Protected Cruiser manufactured byZvezda. Item consists of SEVEN separate deck pieces! Multi-part main deck, walking bridge, bridge roof, searchlight platform, compass platform. Very often blockade running is done in order to transport cargo, for example to bring food or arms to a blockaded city. Display stand included. Highly detailed plastic pieces molded in cream, gray, green and black. Thonier Armor Sailing Boat Heller 1/125 Complete But Started. Here is a plastic model kit that you assemble (with glue) and paint. If anything is started it is usually very minor work that is done well. Kit is complete. You get all shown in pictures. Made in USA, No H135. HO scale, length is 7 1/4". Box may have age and storage wear.see pics. Therefore we have to offset this with handling to avoid loosing money. Just wait for your invoice. This is a Wood Deck for a 1/232 USS Olympia kit as manufactured by Revell or Encore Models. This deck is fully compatible with etched brass detail sets, and can bring your model to an amazing level of realism. (Those decks will be coming soon!). 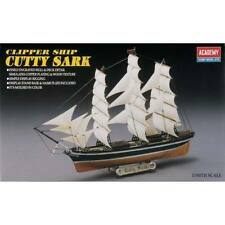 A 1/96 Wood Deck for the classic Revell "Cutty Sark" with hyper-accurate plank detail! T his is a Wood Deck for the 1/96 Cutty Sark manufactured by Revell. Our decks are micro-thin (about the thickness of a heavy sheet of paper) and made of 100% real wood, backed with thermal fleece to provide working strength. Her aircraft really chewed the landscape and earned her a Presidential Unit Citation. display stand. four types of aircraft. Height: 6-3/8". Width: 4-3/8". Length: 19-7/8". This is a Wood Deck for a 1/225 USS Oregon kit as manufactured by Glencoe or ITC. PLUS, this deck is cut slightly oversized to cover up the poor fit of the plastic deck into the hull that this kit is known for. You are purchasing a new in open box HASEGAWA HEAVY CRUISER MYOKO 1/700 scale #43333. Item ships USPS within 1 business day. U.S. SELLER. Thank you for your business. 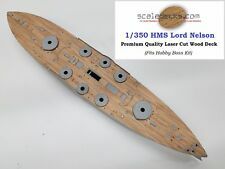 Premium Quality Laser Cut Wood Deck fits 1/180 HMS Victory by Airfix with hyper-accurate plank detail! This deck is known to fit the Airfix 1/180 HMS Victory. This deck features a simulated teak coloration, with individual plank color variations. 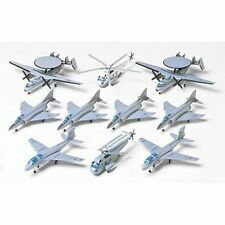 Revell Germany issue of the AVRO RJ85 in 1/144 scale. Sealed parts baggies in solid, open box. Box has corner wear but is otherwise solid. This vintage plastic model kit kit includes everything shown in the listing images. Kit assembly and painting has been started. All of the parts are in excellent condition. Lot of 3 Revell The Hunt For Red October Model Kits in Sealed Boxes. Item #4006 Red October Russian Submarine 1:400 Scale. Item #4007 USS Dallas Submarine/SH-60B Helicopter 1:400 & 1:100 Scale respectfully. ZVEZDA 9013 Model Kit "Wheeled Steamer "SIRIUS"
NIB 1979 Revell 9” Harbor Tug Boat no.5001 sealed box New Model Kit SEALED. Condition is New. Shipped with USPS Priority Mail. Includes decals and instructions, which are nice and bright white. Other than that, everything looks good, most parts are still on trees or sealed, decals and instructions are bright and nice. Box has tears at 2 corners, one puncture. The plastic model kit is 12” long, includes thread for rigging, and is molded in grey. It requires glue assembly and paint is suggested. A pictorial assembly guide is included. • INCLUDES THREAD FOR RIGGING. 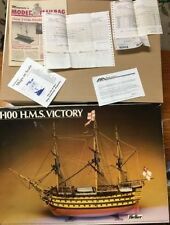 This Wood Deck for the 1/100 HMS Victory manufactured by HELLER or AIRFIX. Our decks are micro-thin (about the thickness of a heavy sheet of paper) and made of 100% real wood, backed with thermal fleece to provide working strength. This vintage plastic model kit includes everything shown in the listing images. Parts have not been checked against kit instructions to ensure kit is complete. R.M.S. Titanic. This is aComplete Model. (all pieces there). ~~~~~~~~~~~. This box is in Rough Shape (crushed, bent, ripped). 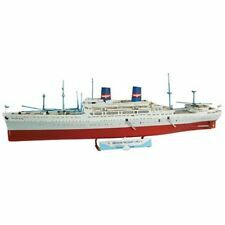 LIFE-LIKE HOBBY KITS H.M.S. 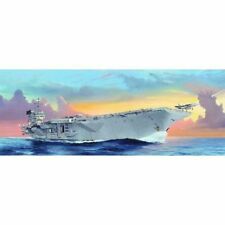 ARK ROYAL Sealed Plastic model Kit #09251. This Wood Deck for the 1/200 Bismarck kit by trumpeter follows our hugely successful deck for the 1/200 Yamato and 1/200 USS Arizona. Our decks are micro-thin (about the thickness of a heavy sheet of paper) and made of 100% real wood, backed with fleece to provide working strength. This is a Wood Deck for the 1/96 CSS Alabama manufactured by Revell. Our decks are micro-thin (about the thickness of a heavy sheet of paper) and made of 100% real wood, backed with fleece to provide working strength. Paragon Designs. 1:1 Scale Weapon Models. Hobby Boss. Eagle Strike Decals. Alliance Model Works. Super Scale Int. Reality In Scale. Tiger Model Designs. Open box with all parts and instructions. Boat is /- 10" long. Kit# 70888 ON SALE! LIST PRICE: 30.00 USD. Really special! 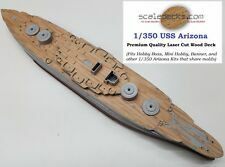 But the 1/350 USS Arizona kit leaves a. We know what you want (we asked!). THIS IS FOR A PRISTINE FACTORY DECK. lot to be desired. There are hideous seams in the deck. And the kit is made with really ugly and chunky staircases that most modelers scrape off. 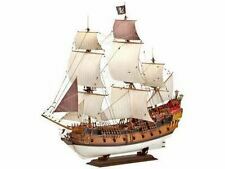 This deck is known to fit the Revell 1/96 USS Constitution "Old Ironsides.". This is for the LARGEST Revell kit, not the smaller 1/196 kit, or the Revell Germany kit in 1/150 scale. A 1/96 Wood Deck for the classic Revell USS Constitution "Old Ironsides" with hyper-accurate plank detail! Lindberg Diesel Tug Model Kit 1:87 NIB. Condition is New. Shipped with USPS Priority Mail. World War II U.S. Navy Submarine. Made in U.S.A. This is a Rare 1:146 version of the H.M.S. Victory Model 05408. The others I have seen are 1:225. The box has been opened but the previous owner never began to assemble it. Model Kit "CRUISER AURORA". Condition: Glue and paint in the model set is not included. The model is unpainted, not assembled. I sent more than 3,000 parcels worldwide. I do occasionally make typographical errors. This Wood Deck for the 1/200 USS Arizona kit by trumpeter follows our hugely successful deck for the 1/200 Yamato. Our decks are micro-thin (about the thickness of a heavy sheet of paper) and made of 100% real wood, backed with fleece to provide working strength. THIS IS FOR A PRISTINE FACTORY DECK. not burn in a plank pattern using the laser onto a grainy piece of wood, as we have found this to result in an unnatural appearance with heavy, chocolaty-brown lines on the deck. This is an Academy 18156 Kayak Robot. The latest release in Academy's Edutainment Series is the (18156) Kayak Robot. It is powered by a motor that creates a reciprocating rowing motion. This movement in turn drives the paddles to propel the boat. It can run in bath tub, fish tank or other container. Easy to assemble, it needs no glue. The Robot Kayak demonstrates the principles of mechanical link and joint mechanisms. And it's fun. Easy to build, Complete step-by-step Instructions. No glue, no paint required. Beautifully detailed. Manufacturer: Academy. Model Number: 18156. MSRP: 24.50. Availability: Ships in 2 Business Days!. DECAL ENVELOPE HAS BEEN OPENED. Model Number: SW-950. GREAT FOR PARTS.